A man commits suicide leaving a note that simply says ‘Martin Beck’, a chief detective inspector in the Stockholm murder squad. Later that day, Beck’s colleague Gunvald Larsson is observing a small apartment block as a favour to another department when it explodes violently. Larsson manages to rescue a number of people from the block before it collapses, but three are left dead. It also appears to be a suicide, the victim leaving the gas running, which later ignites. The case seems pretty straightforward, though there are some niggling questions, such as why the small-time criminal committed suicide and why the fire department was so late to arrive. 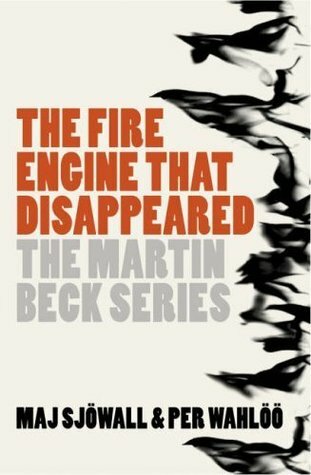 The Fire Engine That Disappeared is the fifth book in the Martin Beck series. Like the preceding novels, Sjowall and Wahloo tell the tale using a measured, understated voice. The focus is very much on the everyday group dynamic of a murder squad, the various personalities, petty jealousies and rivalries, and how the police go about identifying and solving the crime. 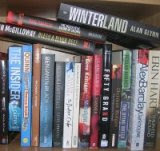 And again, the timeline is stretched over many months involving lots of laborious and routine work. However, the usual realism seems a little less believable in this tale than the others with a seemingly perfect crime being picked apart with a certain amount of luck and coincidence, the tale itself felt a little flat, and the social and political commentary about Swedish society is much less pronounced. Nonetheless, it’s a solid addition to what has so far been a strong series. Sjowall and Wahloo turned out some good stuff. I need to revisit the series.